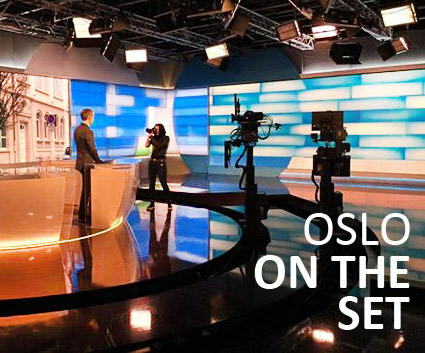 Born in Elverum in 1954, Stein Olav Henrichsen was trained as a musician and later went into arts management as director of the Bergen National Opera in 2005. 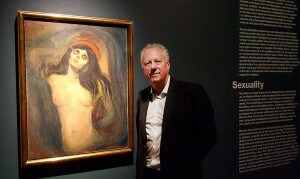 Since 2010, he has been director of the Munch Museum in Oslo, a beloved art institution with the broadest collection of Edvard Munch’s work in the world. 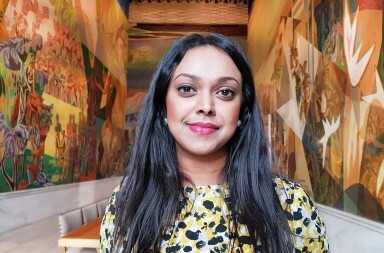 With the strategic planning of the new Munch Museum at Bjørvika well underway, the museum’s director is optimistic about the future of Oslo’s dynamic arts scene. Coincidentally, Stein Olav Henrichsen’s family comes from Løten, which was also Edvard Munch’s hometown. He comes across as very open and relaxed, and recently spent three weeks of total silence doing yoga and meditation in India at an ashram in the Himalayas, where he enjoyed engaging with the culture and philosophies of the place. Stein Olav has an appreciation for music as well as the visual arts, coming from a strong musical background. Before becoming director of the Munch Museum, he was director at the Bergen National Opera. He developed an interest in music from an early age, playing the clarinet and later the saxophone, and started a band with friends called ‘Headache’. He was chosen for the music academy, and he was fully educated as a musician by the age of just 19. He completed his military service playing in the King’s Royal Guard, and later moved to Chicago for a year to study clarinet. On moving back to Norway, he played in the opera as part of the orchestra, which inspired his lifelong interest in opera. His discipline as a musician has contributed to his management skills today. There are many similarities, such as working with others, balancing individual responsibility with the interest of the whole group, an emphasis on quality, and turning every possible disaster into something positive, rather like improvisation in jazz. With over 28,000 works of art produced by Edvard Munch, the Munch Museum holds the largest collection of his works in the world. Edvard Munch (1863–1944) bequeathed all his works to the City of Oslo. 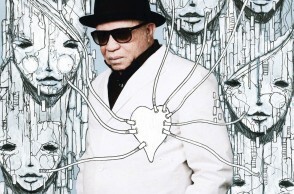 A prolific artist, his donation included approximately 1,150 paintings, 18,000 prints, 7,700 drawings and watercolours, as well as photographs and other memorabilia. The Munch Museum was built in Tøyen—an up-and-coming area in Oslo—in 1963, the year of Munch’s 100th birthday, to give these works a permanent home. Today, it houses more than half of Munch’s paintings and nearly all of his print motifs. The museum has become increasingly popular for visitors, reaching an attendance record in 2015 that was double the year before. Queen Sonja is a regular patron, and the museum has received many other guests of note, from Claire Danes to Arnold Schwarzenegger. 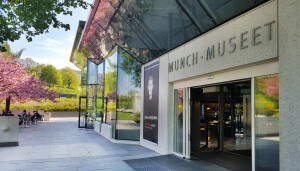 Hosting varied exhibitions and innovative events, it has had great success with its ‘+ Munch’ series that compares and juxtaposes Munch’s work with that of other artists, including Van Gogh, Gustav Vigeland, and Robert Mapplethorpe as well as an upcoming exhibition with Jasper Johns on 18 June. 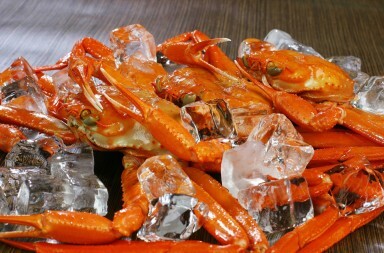 It also hosts late night events with DJs, collaborating with local nightclubs like Jӕger. The Scream (Skrik) is perhaps the second most famous image in the world after Leonardo’s Mona Lisa. An icon of existential angst, it has had an enormous impact on not only the history of art, but on popular culture. The notorious image is arguably more famous than the artist behind it. It has been imitated and parodied countless times, and has a firm place in the cultural consciousness. Edvard Munch created four versions of The Scream in his lifetime: The earliest painted version, from 1893, is in the National Museum, and a pastel rendition from the same year is at the Munch Museum. A pastel on board version from 1895 is privately owned, while the second painting from 1910 [pictured] is hosted by the Munch Museum, and was famously stolen before its recovery in 2006. The Scream was not part of the exhibition held during the end of May 2016. 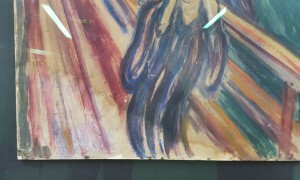 TheOsloBook.no was invited to a highly secured area in the Munch Museum to see The Scream. Each version of the image has variations. Stein Olav points out that the museum’s 1910 version is easily recognisable as its protagonist has no pupils, “it’s like an open skull”. 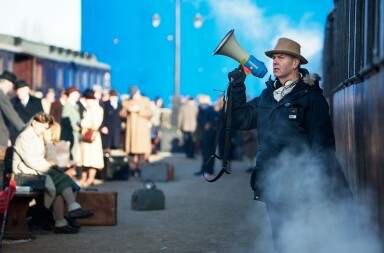 The people in the background are sometimes walking away, and nature appears only to reflect the isolated person’s angst. Sometimes they are depicted as in despair too, which has been interpreted as a comment on the modern condition—all are afflicted with this existential anxiety. There was an armed robbery at the Munch Museum in 2004, where two people came running in, threatened people, and stole two of the most important works at the museum: The Scream and Madonna. 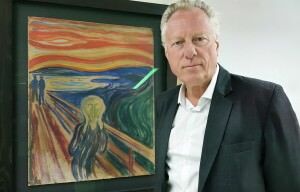 The Scream that was stolen was the 1910 tempera, oil, and crayon on cardboard version featured with Stein Olav in the photograph. 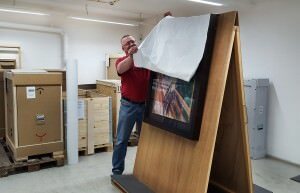 Two years after the theft, police recovered the paintings and returned them to the museum, but they were damaged. This was caused by neglect; the thieves are thought to have staged the robbery to distract from another crime—the armed robbery of NOKAS in Stavanger and the murder of a senior police officer—and left the pieces in damp conditions. Madonna had a hole and several tears, which have been 100% restored. The Scream suffered water damage, which is still detectable in a light patch on the bottom left-hand corner where the pigment has dissolved or been washed away. 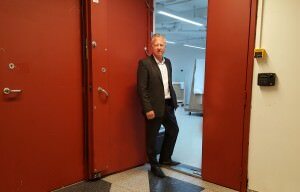 Stein Olav remarks that he and all at the museum are pleased that the paintings are safely back with the rest of Munch’s collection. The Scream suffered water damage, which is still detectable in a light patch on the bottom left-hand corner where the pigment has dissolved or been washed away. 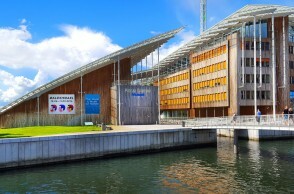 The new Munch Museum, ‘Lambda’, is currently under construction on the waterfront at Bjørvika, close to the Opera House. It is part of a wider project to open up the city towards the sea. The project is due to be completed by 2019/20. 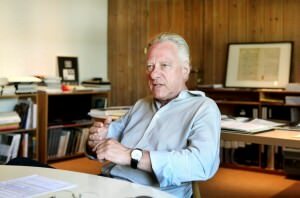 Stein Olav believes the new Munch Museum will provide a larger and more modern setting “better suited to the great art experiences”. There will be six venues so that many varied exhibitions can be held: More of Munch’s work can be showcased at a time and in a wider context alongside his contemporaries. The new museum aims to engage more with contemporary art too. Lambda is set to be a 12-story building that stands on a 3-story base. The vertical structure will house exhibition spaces, workshops, and offices. There are also grand plans for a cinema, a concert hall, restaurants on the top floors, and a café by the water. Lambda will form an impressive contrast to the nearby buildings, such as the horizontally oriented Opera House. The glassy exterior is designed to make the surrounding fjord landscape into part of the indoor space. The facades will be finished in a reflective corrugated material, with different degrees of transparency. This will provide what architect Juan Herreros describes as an “enigmatic and evanescent” perception of the building from the outside, which appears to react to the outdoor climate. Munch’s entire works, including some 7,000 of his lesser-known drawings, are in the process of being digitized, so they can be freely enjoyed the world over. You can already access around 13,000 pages of Munch’s poems and written reflections on eMunch.no, and a project to digitize his drawings is still underway. 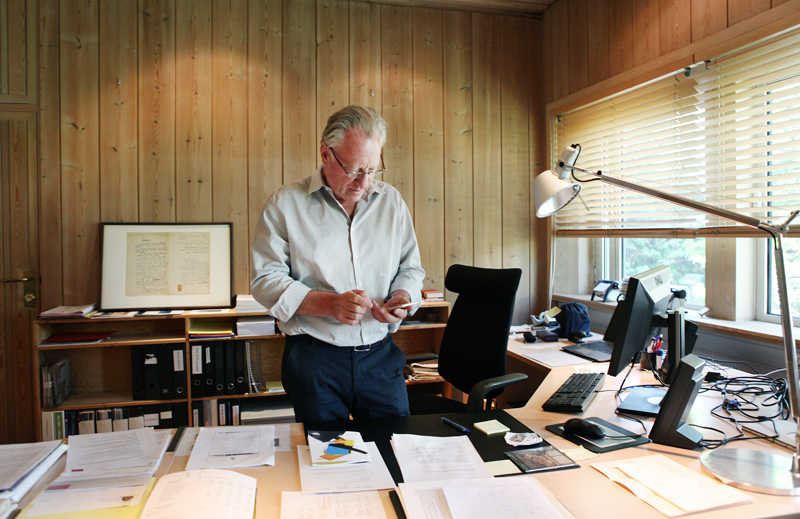 Stein Olav likened the virtual museum to a musical recording, where the physical museum is like a live concert. Like a recording, the digitized collection will provide people with the freedom to see the works whenever and wherever they like. As with a live concert, visiting the museum provides the “immediate experience of meeting with art”, and that’s where the real energy is. 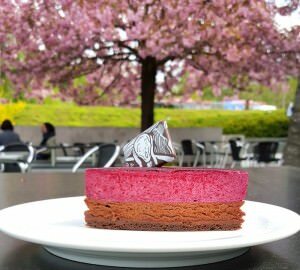 Enjoy your Scream cake when visiting The Munch Museum in Oslo! Just approach The Munch Museum, Dmitry. 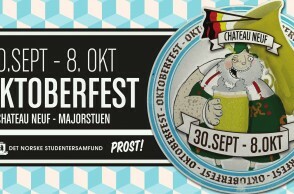 This is wonderful, thank you Kunstbevegelsen! Lille Herbern Restaurant—A unique dining experience with a stunning view of the Oslo fjord. Hurry up before it is closed for winter!